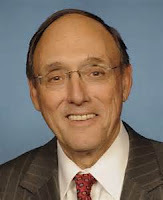 by Congressman Phil Roe, M.D. 1st District Tennessee - President Obama unveiled his proposed $4.1 trillion budget for fiscal year 2017 this week, and it’s clearer than ever the president’s priorities don’t align with those of the American people. His proposal increases spending by more than $2 trillion, never balances and raises taxes by $3.4 trillion over the next 10 years. President Obama said that this budget is about looking to the future, but the only thing that would move forward under this proposal is the skyrocketing debt owed by future generations. I have some good news to share though: the president’s budget is dead on arrival here in Congress. Among the short-sighted priorities outlined in his budget, the president wants to double funding for clean energy projects from $6.4 billion to $12.8 billion over five years and proposes a new $10-per-barrel tax on crude oil, which could translate to 24 cents more per gallon at the pump. In East Tennessee where people rely on their vehicles to get to and from work, school and other activities, a steep increase in the cost of gas could send an already struggling economy further south. I was also disappointed that, in some areas where there could be common ground, the president appears to ignore good, bipartisan work that’s been done in Congress. For example, the president’s proposal would increase funding for cancer research by $1 billion with the goal of developing a cure for cancer. I wholeheartedly agree we should increase funding to research better treatments and cures for diseases, which is why I supported the 21st Century Cures Act when it passed the House last July. However, given the fact there are 10,000 known conditions and diseases and we only have cures and treatments for 500 of them, these investments must be strategic and smart. I hope that the president will work with Congress to get the 21st Century Cures bill across the finish line. On education, the president’s budget pushes new, expensive proposals rather than focusing on the implementation of important reforms that have already been agreed to in Congress. The president said that real opportunity begins with education, and I couldn’t agree more. A high quality education is critical for our children and grandchildren’s future, and I was proud to have helped develop the bipartisan bill the president signed to get the federal government out of the classroom, replace No Child Left Behind and stop Common Core. There is still much work to do to move these important reforms forward, but the president would rather spend billions of dollars on new programs. Finally, while I’m glad to see the president request an increase in funding for the Department of Defense, I’m still extremely concerned that the president has yet to present a clear, concise plan to defeat ISIS and to position the U.S. as the leader on the world stage. Under President Obama’s watch, the threat ISIS poses to the United States at home and abroad has grown, and we’ve seen aggressors like Russia and North Korea attempt to grow their influence on the world stage. As I’ve said before, we live in the best country in the world, and it’s time we start acting like it and stand up to rulers like Vladimir Putin and Kim Jong-un. Overall, the president’s budget proposal is filled with one disappointment after the other. The picture on the cover of his budget is a mountain, and I can’t think of a more appropriate symbol. This budget fails the American people and will leave our children and grandchildren with a mountain of debt, regulation and taxes. This kind of reckless spending is what caused our national debt to skyrocket, and I will continue to oppose the president’s budget and support proposals that fund conservative priorities while cutting spending and balancing the budget.